2) As we invest in development of tools and services to manage our own offering we’re going to put as much of that as possible to work for you as well. To sum it up, all ExchangeDefender Security and Hosted Exchange partners will get a free RMM tool to use either on your network or for a marketing activity. But I do want your help with the design and it’s a lot more lucrative than the $10 beer budget 15 of you won for giving us some market intelligence. There are four prizes.. $1000 for the winner, two $250 prizes for the runners up and a $100 one for something that we really like. The contest is open to anyone in our partner program, whether you’re selling anything or not. 1) Dashboard for the RMM inside Shockey Monkey. This is the area that your techs and staff will have access to in order to get an overview of the current issues. 2) Reporting. This is more tricky – (see below) – We’re after a perfect report to present to the business decision maker or any client in general to explain why they are paying you. What sort of device do you primarily monitor? 65.8% said: Windows Servers. Less than 1% combined! said Macs, Printers, Switches or mobile devices. 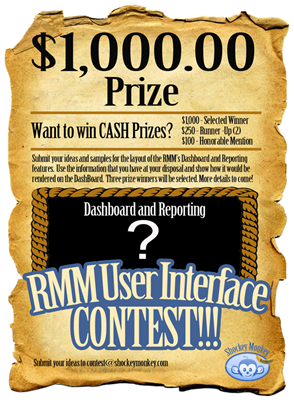 What is the most important feature of your RMM? How do you feel about VNC? To be honest, I was also surprised by the tool selection. The partners that I speak to most often are working their way into Labtech or LPI – but the survey said that Kaseya and Zenith still held an overwhelmingly large user base. I was also shocked to see that monitoring and alerting won out because that is definitely not what the RMM guys want to hear – every $ they spend in marketing seems to talk about the really advanced stuff which is seemingly not leveraged a lot. I guess the reality of the “environment” being managed is that clients are on all sorts of hardware and software versions so “scripting” things a lot would almost break even on the efficiency after a while. The interesting part was that an overwhelming majority of you said you only provide RMM reports through your PSA – which is great news for Shockey Monkey. Originally we only ran this survey to figure out how to structure our reporting and consolidate all the RMMs that are tying into Shockey Monkey – so I feel good that we at least are on the same level as far as expectations go. 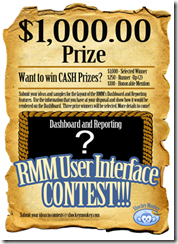 Final beta releases of the RMM will be available in May. We still don’t have a name. It will include VNC by default for free and will have a more advanced remote desktop software for an additional fee if you want all the fancy stuff. Client: We need someone to manage our network. Vlad: Great. Here is a proposal, it’s $4,000 / month and .. Client: Great! Thanks. We need to think about it. Vlad: Of course, you need to review this carefully and make sure everyone is on board with us becoming your CIO. Vlad: Now.. in the meantime, as a token of goodwill and appreciation of local business, I’m going to hook you up with something special <sliding the USB drive across the table>. On this drive is our network management software, feel free to install it on your PC and all of your employees PCs. Every day it will send you a summary of all the stuff that is going on with your network that we’d be able to address for you as we manage your environment. You’re too busy and have better things to do than deal with it but it will at least give you an idea of how much better your network could get. Vlad: Oh and one more thing.. What this tool will also do is give you a realtime look at what your human resources are doing with your IT resources. You can see their desktops, live, and see if they are working or on Facebook. Like myself I’m sure you do rounds in the morning and catch up with everyone, think of this as your daily free/busy calendar and again, another view into how we’re different – we look at giving you total return on your technology investment not just bits and pieces. Once they install the software it reports to them – and to you. After 30 days, it only reports to you. So if they don’t have a signed contract in hand, you can call them as the issues pop up offering to help them fix it… at a premium rate of course. I don’t think there is a faster way to get those contracts signed and if the saving grace is that the checks are being signed for adhoc visits who are you to turn down money?